Properties has been defined in section 2(Da) of the Act as “Properties means movable or immovable properties of any nature and description. 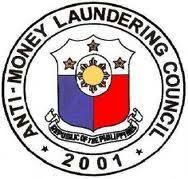 All financial institutions must designate a Chief Anti-Money Laundering Compliance Officer (CAMLCO) at its head office who has sufficient authority to implement and enforce corporate wide anti- money laundering policies, procedures and measures and who will report directly to senior management and the board of directors. The position within the organization of the person appointed as CAMLCO will vary according to the size of the financial institution and the nature of its business, but he or she should be sufficiently senior to command the necessary authority. Each financial institution should prepare a detailed specification of the role and obligations of the CAMLCO. The CAMLCO may effect his or her responsibilities through a specific department, unit, group, or committee. Depending on the size, structure, business and resources of a financial institution, the designated department, unit, group, or committee or officer may be dedicated solely to the financial institution‘s anti-money laundering responsibilities or perform the compliance functions in addition to existing duties. The designated CAMLCO, directly or through the designated department, unit, group, or committee, should be a central point of contact for communicating with the regulatory agencies regarding issues related to the financial institution’s anti-money laundering program. Depending on the scale and nature of the institution the designated CAMLCO may choose to delegate duties or rely on suitably qualified staff for their practical performance whilst remaining responsible and accountable for the operation of the designated functions. The designated CAMLCO must ensure that at each division, region, branch or unit of the financial unit that deals directly with the public, a senior level officer is appointed as Anti Money Laundering Compliance Officer (AMLCO) to ensure that each division, region, branch or unit is carrying out policies and procedures as required. These officers should report to the CAMLCO regularly on compliance issues and the need for any revisions to policies and procedures. All staff engaged in the Financial Institution at all levels must be made aware of the identity of the CAMLCO, his Deputy and the staff’s branch/unit level AMLCO, and the procedure to follow when making a suspicious activity report. All relevant staff must be aware of the chain through which suspicious activity reports should be passed to the CAMLCO. FUNCTION: The Chief Anti-Money Laundering Compliance Officer (CAMLCO), who will report to the Chief Executive Officer for this responsibility, coordinates and monitors day to day compliance with: applicable money laundering laws, rules and regulations; the Institution’s AML Policy and the practices, procedures and controls implemented by the Institution. AML risk assessment; and practices, procedures and controls for account opening, KYC procedures and ongoing account/transaction monitoring for detecting suspicious transactions/account activity, and a written AML training plan. 5) Actively develop the compliance knowledge of all staff, especially the compliance personnel. – are reported to the Chief Executive Officer, and the Board of Directors of the institution when the suspicious activity is judged to represent significant risk to the institution, including reputation risk . Each Financial Institution is required to perform due diligence on all prospective clients prior to opening an account. This process is completed by fulfilling the documentation requirements(Account Application, Bank References, Source of funds and Identification for example) and also a ‘Know Your Customer’ profile which is used to record a client’s source of wealth, expected transaction activity at it’s most basic level. Once the identification procedures have been completed and the client relationship is established, Financial Institutions should monitor the conduct of the relationship/account to ensure that it is consistent with the nature of business stated when the relationship/account was opened. Financial Institutions do this firstly by the their staff being diligent, reporting suspicious transactions undertaken by the customer, updating the client’s KYC profile for any significant changes in their lifestyle (e.g., change of employment status, increase in net worth) and by monitoring the transaction activity over the client’s account on a periodic basis. KYC profile gives the basic information about the customer like, Name, Address, Tel/Fax Numbers, line of business, Annual sales. If the customer is a Public Figure, the account will become automatically a High Risk Account. The KYC Profile information will also include the observations of the Institution’s Staff/Officer when they visit the customer’s business place like, the business place is owned or rented, the type of clients visited, by what method is the client paid (cheque or cash). The Staff/Officer will record his observations and sign the KYC Profile form. The KYC Profile leads to Risk Classification of the Account as High/Low Risk. Whilst some Financial Institutions may wish to invest in expert computer systems specifically designed to assist the detection of fraud and money laundering, it is recognized that this may not be a practical option for many Financial Institutions for the reasons of cost, the nature of their business, or difficulties of systems integration, in such circumstances institutions will need to ensure they have alternative systems in place. Every Business and every individual will have normally certain kind of transaction in line with their business/individual needs. This will be declared in a Transaction Profile (TP) at the time of opening account from the customer. Ideally any deviation from the normally expected TP should be reviewed with human judgment and interaction with customer. Such reviews may result in changing the expected profile or closing the customer account. It may not be feasible for some institutions or specific branches of institutions having very large number of customers to track every single account against the TP where a risk based approach should be taken for monitoring transactions based on use of “Customer Categories” and “Transaction Limits” (individual and aggregate) established within the branch. The Customer Category is assigned at account inception – and may be periodically revised – and is documented on the Transaction Profile. Transaction Limits are established by the business subject to agreement by Branch AMLCO. The Customer Categories and Transaction Limits are maintained in the manual ledgers or computer systems. On a monthly basis Branch/ Unit of the financial institution must prepare an exception report of customers whose accounts showed one or more individual account transaction during the period that exceeded the “transaction limit” established for that category of customer based on Anti-Money Laundering risk assessment exercise. Account Officers/Relationship Managers or other designated staff will review and sign-off on such exception report of customers whose accounts showed one or more individual account transaction during the period that exceeded the “transaction limit” established for that category of customer. The concerned staff will document their review by initial on the report, and where necessary will prepare internal Suspicious Activity Reports (SARs) with action plans for approval by the relevant Branch Manager and review with the Branch AMLCO. A copy of the transaction identified will be attached to the SARs. AMLCO will review the SARs and responses from the Account Officers /Relationship Managers or other concerned staff. If the explanation for the exception does not appear reasonable then the Branch/Unit Head should review the transactions prior to considering submitting them to the regional AMLCO or CAMLCO. If the Branch/Unit Head and / or AMLCO believe the transaction should be reported then the AMLCO will supply the relevant details to the RAMLCO or the CAMLCO. The RAMLCO and CAMLCO will investigate any reported accounts and will send a status report on any of the accounts reported. No further action should be taken on the account until notification has been received. If, after confirming with the client, the transaction trend is to continue the Account Officer is responsible for documenting the reasons why the transaction profile has changed and should amend the KYC profile accordingly.